Get Altitude Nigeria Limited (trading as Nairabet) is the pioneer sports betting operator in the Lagos State sports betting industry. It obtained its operating licence in Y2011 and is headed by Mr. Akinola Alabi. The operator offers betting facilities on various sport events including: football, handball, rugby, tennis, basketball, golf, virtual games, Virtual football League (VFL) which provides close to reality betting experience at any time of the day, taking football betting to a whole new level. WBNL (trading as 1960bet) obtained its operating licence in Y2011. 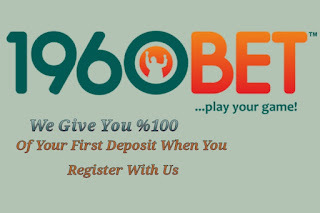 The company is managed by Mr. Ajedotun Ajegbile and offers betting facilities on sports events such as football, baseball, tennis, basketball, snooker, American football, motorbike racing etc. The organization operates both land based and online. As part of its corporate social responsibility (CSR), the organization successfully organized various football competitions amongst customers where winners were awarded with various cash prizes. Marawin Limited (trading as Sporty Bet) was granted its operating licence in Y2012 and is managed by Mr. Sudeep Ramnani and Mr. Jai Mahtani. The operator is a licenced gaming operator in several foreign jurisdictions and has a chain of retail betting shops/game centers within Lagos State. Marawin offers a wide range of entertainment including Virtual Sports Betting, betting on football, basketball, tennis, virtual games etc. KC Gaming Networks Limited (trading as Bet9ja) obtained its operating licence in Y2013. The company offers betting facilities on several sports games including: tennis, football, basketball, handball, rugby etc. The operator works with both local and international technical service providers to ensure top notch service delivery and has wide spread retail network. Chessplus International Limited (trading as Surebet247) was granted its operating licence in Y2013. The management team is lead by Mr. Sheriff Olaniyan and Mr. Olasupo Badmus. The operator has over 40 betting outlets in Lagos State and offers betting services on various sports event including football, rugby, tennis, darts, basketball, handball etc. 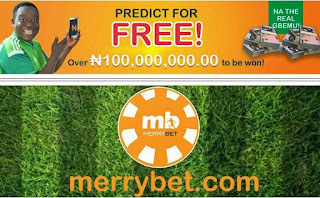 MerryBet Gold Limited (trading as Merrybet) obtained sports betting licence in Y2013 and is managed by Mr. Opeoluwa Fashakin. Merrybet offers betting services on several games including football, rugby, tennis, darts, handball etc. L’dilic Ltd (trading as 9japredict) obtained its licence in Y2013. The company is wholly indigenous and managed by Mr. Azeez Anifowoshe. L’dilic employs variety of loyalty schemes to reward players and offers betting facilities on multiple sports events such as football, basketball, golf, cycling and other international sporting activities. Powerbets (trading as Supabets) is one of the leading and fastest growing pan- African sports betting and gaming companies. The company operates both locally and internationally with presence in foreign jurisdictions like South Africa, Ghana, Zambia and Zimbabwe. Supabets has a dynamic team with cumulative experience of over 25 years in the Sports Betting Industry. Stakersden Limited (trading as Stakersden) obtained its operating license in November, 2013. The company is 100% indigenous and prides itself on being a customer-centric organization with prompt and efficient customer service delivery. The operator caters to mobile/online customers with innovative products to stimulate gaming operations by deploying unorthodox bet taking methods. Stakersden Limited is managed by Mr. Ademola Adebajo and a Board of seasoned technocrats with a vision to being a household name for professional and ethical delivery of sports betting in the country. Superior Games Limited (trading as Superior Bet) was incorporated in Y2002 to carry out gaming activities. It obtained a sports betting licence in Y2014. The operator has an active online betting platform; Superior Games offers betting selections on sports events including soccer, tennis, basketball, volleyball, handball, virtual games (horse racing, football leagues, dog racing, tennis and live events. Progamble Integrated Concepts Nig. Ltd (trading as UBC365) is predominantly a foreign owned company and a subsidiary of UBC365, a Lebanon based company. The operator obtained sports betting licence in Y2014. Progamble aims to bring players the best betting atmosphere with over 18,000 matches per month, wide range of pre-match, live events & markets and 24/7 multilingual customer support. The operator’s mission is to provide a professional, reliable, high-end equipped retail environment. Bets can be placed on variety of sports events including basketball, football, hockey, tennis, baseball, American football, boxing, cycling, rugby and much more. Betland Gaming Nigeria Limited, a wholly indigenous company was established in Y2014 and obtained sports betting licence in same year. The operator accepts bets on sports events and makes prompt pay-outs to punters. The core initial task of the company is to engage in the business of providing a world class betting service by exploiting relevant technology platforms. The operator is dedicated to customer service and other innovative processes to ensure customer satisfaction and retain patronage. Betland is positioned to compete for high value multi-channel customers with its strong retail, online and mobile offers. BIA Stellar Solutions and Concepts Limited ‘BIASSCL’ (trading as Premier Bet) is a sister company to Premier Lotto Limited (Baba Ijebu). BIASSCL was established in Y2014 to carry out sports betting activities in Nigeria. The company obtained its sports betting licence in Y2014. BIASSCL is chaired by Sir Kesington Adebukunola Adebutu CON, KJW, FISM. He has over 40 years experience in the gaming industry. The Chairman is ably supported by directors and management team with more than 60 years collective experience in gaming. They have leveraged on this experience to develop and sustain the lotto business over the years and now the business of sport betting. BIASSCL presents a selection of major global sport tournaments and games including live betting, flexible odds where players can choose to predict full time result, half time result, number of goals in a game, virtual gaming experience, and much more. Planet Bet was incorporated in Y2014 and obtained sports betting licence in Y2015. 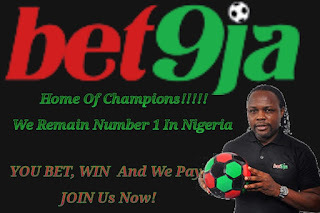 It is predominantly foreign owned and prides itself as one of the fastest paying betting companies in Nigeria. Planet Bet is managed by experienced professionals whose aim is to give players the comfort and safety of playing in relative privacy. The operator offers two types of betting services to our customers - online betting with payment facilitated by credit cards and retail outlets where bets are accepted with cash. cash, whilst doing next to no work. profitable tips and risk free bets. that I know your gonna love. and be part of a service that makes up to £25,622.25 a season. few years has made money,FACT. you money at odds that have real value. make consistent profits week in week out. check out the completely 60 day risk free trial below.